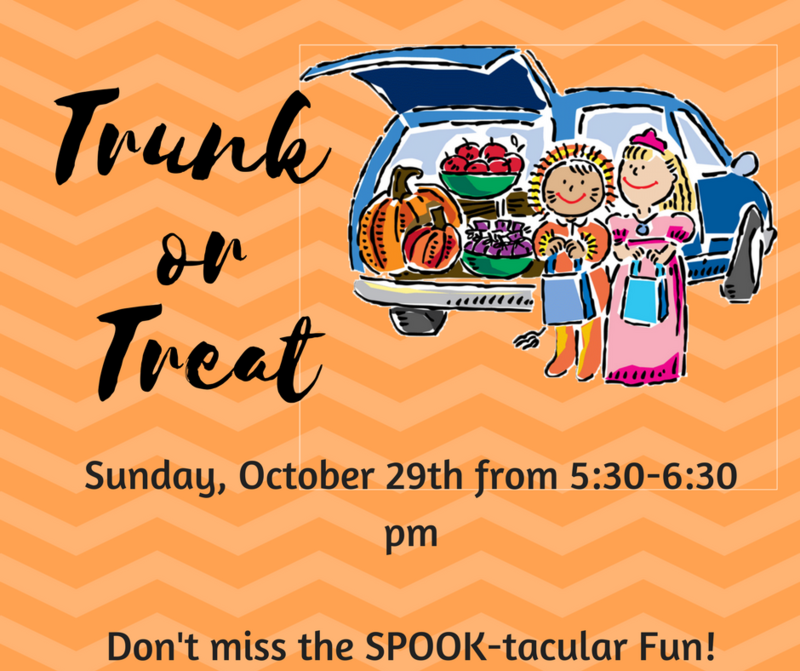 Our annual Trunk or Treat will be held Sunday evening, October 29th from 5:30-6:30 p.m. outside near the shelter. (In the event of rain, we will move the festivities inside the gym.) October 29th is a Family Fellowship Day so there will be no PM service, but we invite all to come out and join our kids in the Spooktacular happenings. Adults of all ages are invited to decorate their vehicle "trunks" and handout treats to the children. All are invited to a wierner roast and/or marshmallow roast. And of course, bring those kids dressed in their halloween costumes!